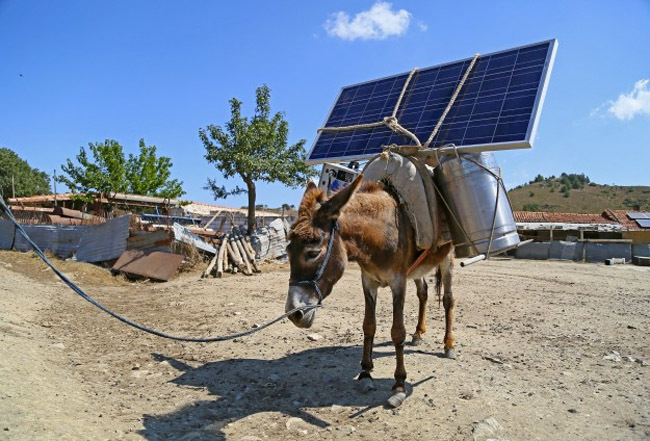 Solar power projects go truly off-the-grid in mobile applications that range from practical if goofy solar panel-equipped Ray Bans to donkeys that stroll around with photovoltaics mounted to their backs. While some are just for fun, others have the (solar) power to bring electricity to remote places, or get around restrictions that hold back renewable energy progress. 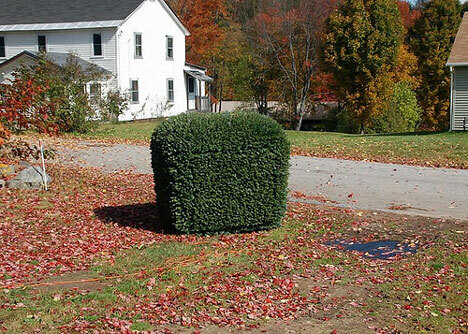 It looks like an ordinary shrub. Then it starts inexplicably rolling along the ground as if it has gained sentience a la the plot of a particularly terrible horror movie from the 1950s. 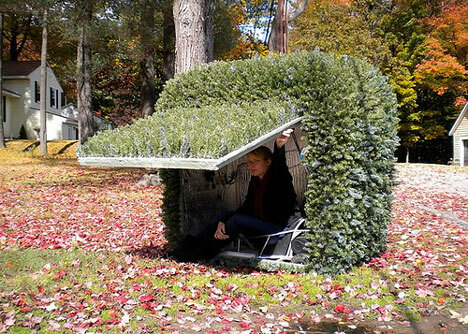 The Terrestrial Shrub Rover by Justin Shull is a solar-powered, foliage-covered vehicle that lets drivers explore new territories in disguise (as long as you wait to actually drive it until after dark.) Cameras on the outside display the car’s surroundings on screens within so you can see where you’re going. Solar installations can be costly and time-consuming to install, but load them into a shipping container so that they can pop right out when it’s opened and you’ve got a convenient mobile solar power station. 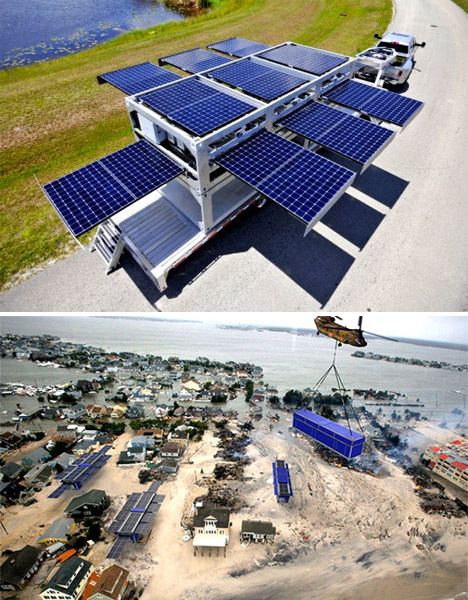 The Ecos PowerCube is available in 10-foot, 20-foot and 40-foot ISO shipping container footprints with solar panels hidden within protective drawers. Batteries inside the container store power. Once unrolled, the panels increase the size of the array to three times the footprint of the shipping containers. 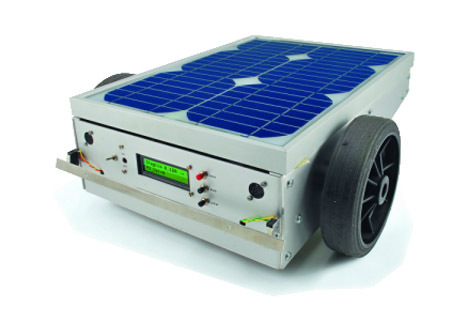 The winning entry in a competition for inventions that can make a significant difference to people with disabilities, this solar-powered wheelchair can run continuously on the power of the sun. 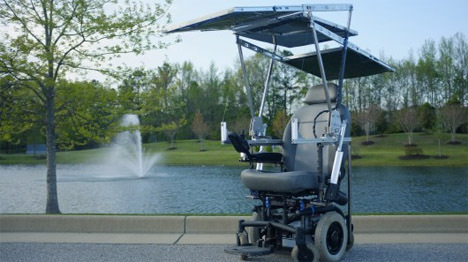 Designed by students at the University of Virginia, the wheelchair features a custom-built 11-square-foot solar panel that doubles as a sun shade and enables the wheelchair to travel indefinitely at 1mph without drawing power from the battery. The equivalent of a Roomba for your lawn, this open-source robotic lawn mower runs entirely on solar power so you don’t have to sweat it out on a hot summer day. No need to even control it via remote, since it’s totally autonomous. If you’re handy with electronics, you can try making one yourself – instructions are available at Open Electronics. 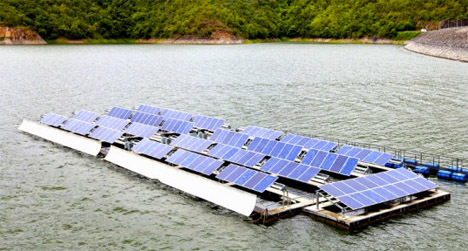 The world’s largest freshwater solar power plant will be installed over reservoirs and lakes in India’s southern state of Kerala in a $72 million, 50 megawatt project. Using freshwater gets around the problem of landowners overcharging for solar developments, with projects paying rent to the owners of the bodies of water. The total cost will end up being around 15 percent lower than equivalent land-based projects.